J-Bru grew up as Jason Bruce, an athletic youth whose father was a professional boxer as well as musician with ?The Valiants', a soul group formed in Shelburne, NS. A high school and college basketball star, Bruce used athletics to keep his mind off childhood struggles. During his high school years he secretly wrote poetry, and it was then where he started realizing his talent for wordplay. After his stellar college basketball career was over, Bruce started recording music with Classified. After his stellar college basketball career was over, Bruce started recording music with Classified. His first release Tell Me What U Like (2000) sold 400 copies hand to hand and his next release The Fax (2001) sold 700. With growing popularity throughout the east coast of Canada, Bru came back with the critically acclaimed album in 2003 called Underground MC. With national distribution and a very busy schedule, Bru managed to sell over 1000 copies. His next release Identity Crisis was released on March 27th, 2007. With four hit singles, ?Makin People Say', ?It's Rainin' featuring Jordan Croucher, ?What R We Doin' and ?Help! I Been Robbed' on rotation at MuchMusic and Much Vibe, J-Bru is steadily becoming a household name. Next up for Bru, The Jason EP, which is scheduled for a summer 2010 release on Bru-Print/Half-Life. The LP promises to be like nothing you have heard from the veteran MC. No glitter, no gold, no holding back! The purpose of this project, The Jason LP, is to continue J-Bru's growing popularity on a national level. After four full length albums, seven cross-Canada tours, two U.S. tours, two international tours, two hit singles, three ECMA nominations, four videofact grants and many more accolades, the Halifax MC is ready to advance to the next level. Listed as one of MuchMusic's ?one's to watch? 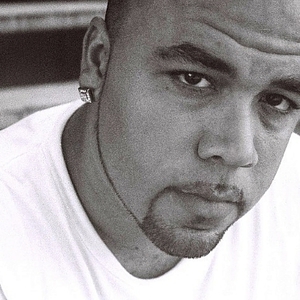 in the hip hop genre for 2008, J-Bru plans to pick up right where he left off with 2007's release, Identity Crisis. In Canada, video and radio play are very important to its artists. With the limited number of urban radio stations in Canada, J-Bru relies heavily on video spins, and the nation's youth are responding to and requesting his videos more than ever. J-Bru plans to keep his momentum going by releasing The Jason LP in the summer under his label, Bru-Print Music. After being toted as ?The Underground MC', a moniker he was proud to hold, J-Bru has recently been more radio friendly. The MC hopes to show more of this side on The Jason LP via collaborations with some folk and rock acts, as well as his long-time friend, Classified. The purpose in naming the album The Jason LP is that after so many years of displaying the bravado that hip hop so desperately tries to keep, J-Bru no longer wants to be a part of it. He just wants to make good music. This new album is not about beats, flows, or generic hip hop cockiness. Instead, the project will introduce the world to Jason Bruce, a well-liked ?guy next door?, a man who won poetry awards as a youth, and a former college and semi-professional basketball player. Always willing to give back to the community, J-Bru has become a role model over the years, traveling the Maritimes speaking to school children on various topics like black history, self-esteem and hip hop music. There are many sides to J-Bru; and while he did show this to the world with a few tracks on Identity Crisis, it hails in comparison to what he plans to release on The Jason LP. With a number of songs covering topics such as religion, politics, sexual abuse and racism, The Jason LP is sure to be one of Canada's best hip hop albums for 2010. Bru has had the pleasure of opening for talents such as Ludacris, Busta Rhymes, Snoop Dogg, RZA, GZA, Cappadonna, The Game, Good Charlotte, Kardinal Offishall, Swollen Members, The Rascalz, Choclair, Jeleestone, Alexisonfire, Snow, Jully Black, DL Incognito, Maestro and Classified.